But that’s not to say the Germans hadn&apos;t prepared. 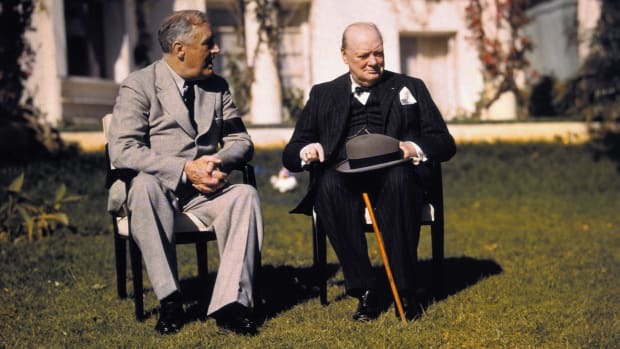 Allied leaders Franklin D. Roosevelt and Winston Churchill and commanding Allied general General Dwight D. Eisenhower began planning the D-Day invasion soon after the United States entered World War II. The Allies knew that opening a Western European front was critical to spreading the German forces thin. The only remaining questions were where the invasion would happen and when. Military historian and author Flint Whitlock says that Operation Fortitude was “the real key to success on D-Day.” To pull off the deception, the Allies created a “dummy army” called the First U.S. Army Group (FUSAG) commanded by none other than Lt. General George Patton. When German spy planes made runs over Southeast England, they saw what looked like the buildup of a massive invasion force. 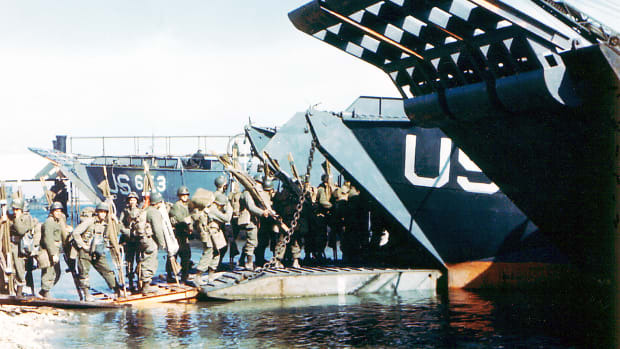 But the regiments of tanks and landing craft were mostly inflatable decoys. Meanwhile, nearly every German spy in England had been either captured or turned into double agents. Those same agents told their Nazi handlers that the invasion was indeed planned for Calais, which was confirmed by phony Allied radio traffic intended to fall into German hands. As the real D-Day approached, Allied codebreakers verified that Hitler was fully convinced that any invasion outside of Calais was merely a feint, a ploy to distract the German army from the real Allied attack. 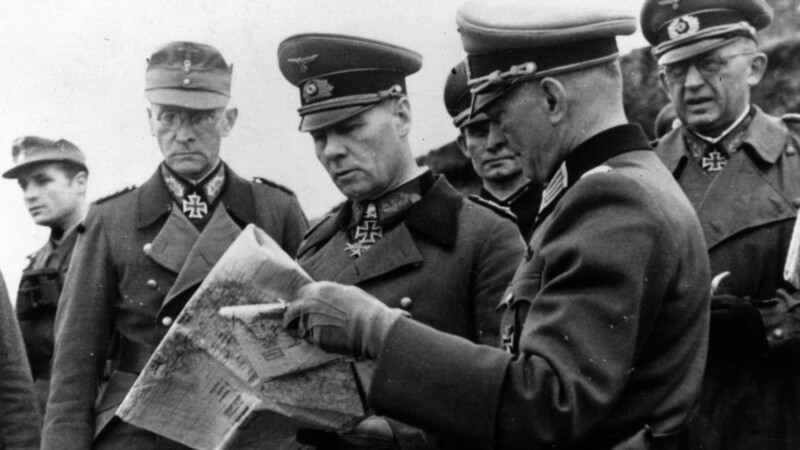 Field Marshal Erwin Rommel, center, studies a map with other German army officers in Caen, France, during an inspection tour of coastal defenses. Still, the Nazis were not caught entirely by surprise by the D-Day landing. Back in 1943, Field Marshal Erwin Rommel was handpicked by Hitler to lead the German army’s defense of the Normandy region. 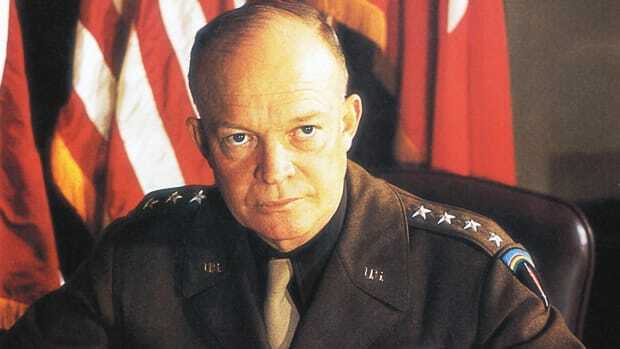 He began by fortifying the Atlantic Wall in Normandy with more machine gun bunkers, millions of beachfront landmines, and by flooding inland marshes to trap Allied paratroopers. Rommel’s strategic preparations would ultimately help the Nazis inflict terrible Allied casualties on D-Day. In fact, if Hitler had listened to all of Rommel’s ideas, the D-Day invasion may have been a full-on disaster for the Allies. In early 1944, Rommel wanted to position Germany’s elite Panzer tank divisions as close to the French coastline as possible to repel an infantry attack. Hitler disagreed, choosing to keep most of the Panzer divisions close to Paris, and spreading the rest along the southern French coastline. Rommel was only in direct command of three of these high-powered tank divisions, and only one was in close striking distance of the Normandy coast. When Hitler went to bed on the night of June 5, a terrible storm was raging along the entire French coast, including the English Channel. 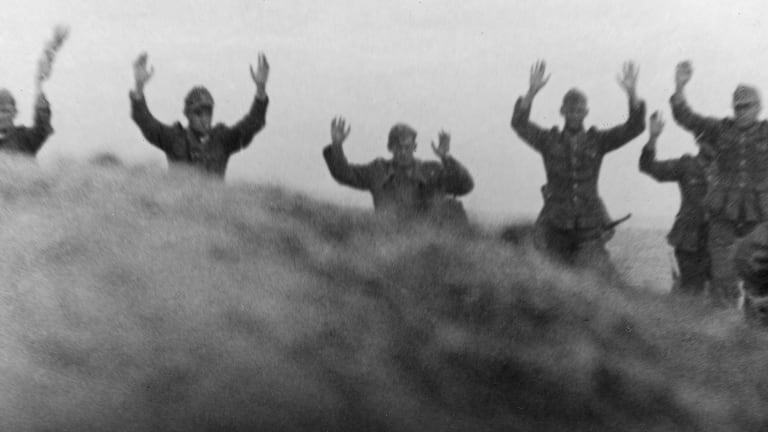 The weather was so bad that many of the Nazi’s top military commanders, including Rommel, abandoned their posts to visit wives and mistresses in Germany and Paris. There was no way the Allies could attempt an amphibious landing in such stormy seas. What the Germans didn’t know was that Allied weather beacons had detected a break in the storm starting midnight on June 5 and continuing through June 6. Continuing their deception tactics, the Allies began their invasion by dropping hundreds of dummy paratroopers well inland of the eventual targets along the Normandy beaches. According to Whitlock, some of the dummies were rigged with explosives to trick German commanders into believing a gun battle was already underway. 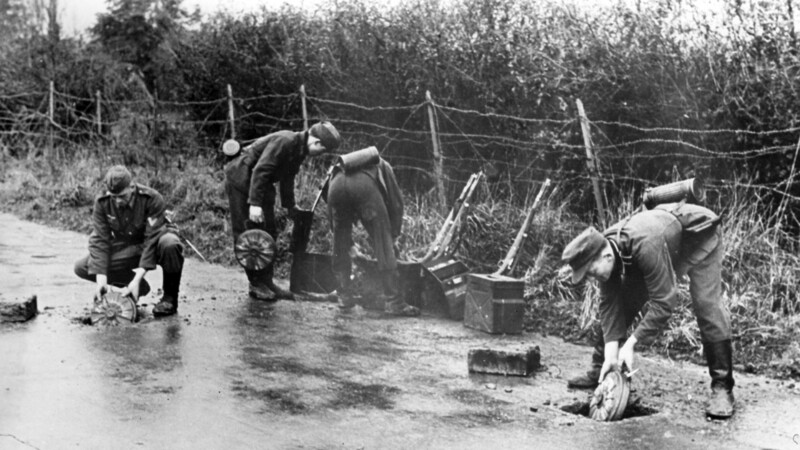 Other commando troops parachuted in with record players broadcasting the sound of invading Allied tanks and gunfire to draw attention away from the coast. Next came aerial bombing runs by U.S. and British forces intended to take out machine gun bunkers along the five target beaches codenamed Utah, Omaha, Gold, Juno and Sword. 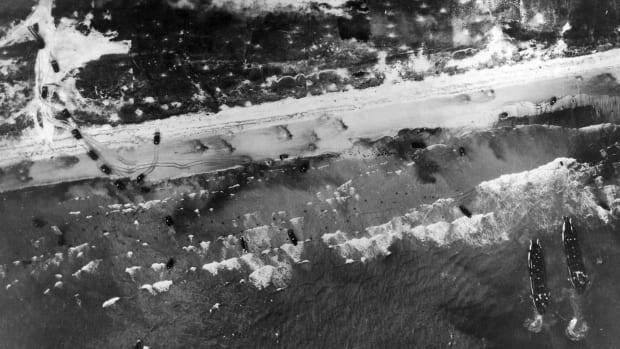 The pre-dawn bombings were least successful at Omaha beach, where none of the heavy ordnance hit its mark due, in part, to cloud cover. This failure, plus the undetected arrival of a highly experienced Nazi infantry regiment led to D-Day’s bloodiest battle. 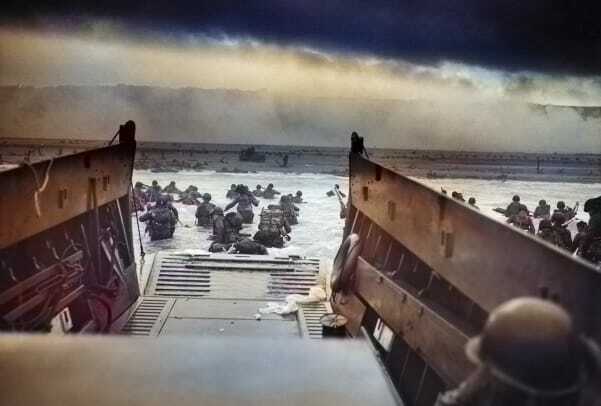 American soldiers, landing on Omaha beach without cover—most of the army’s 29 amphibious tanks had been swamped in rough seas—were cut down in droves by Nazi machine gunners, whose MG 42s could fire 1,500 rounds per minute. 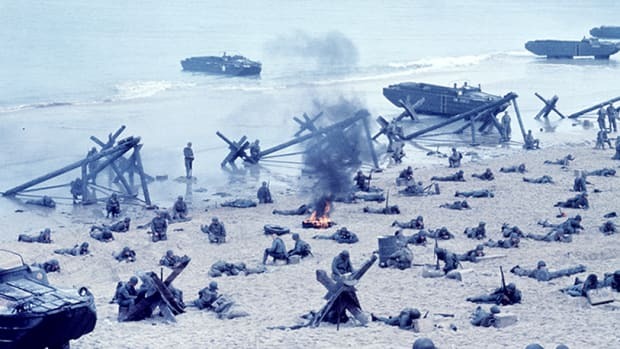 Despite the chaos and catastrophe of the initial Omaha beach landing, the American forces eventually broke through to the bluffs, took out the Nazi bunkers and secured the beach by the day’s end. Many of their British and Canadian counterparts met far less resistance at the other Normandy landing targets. 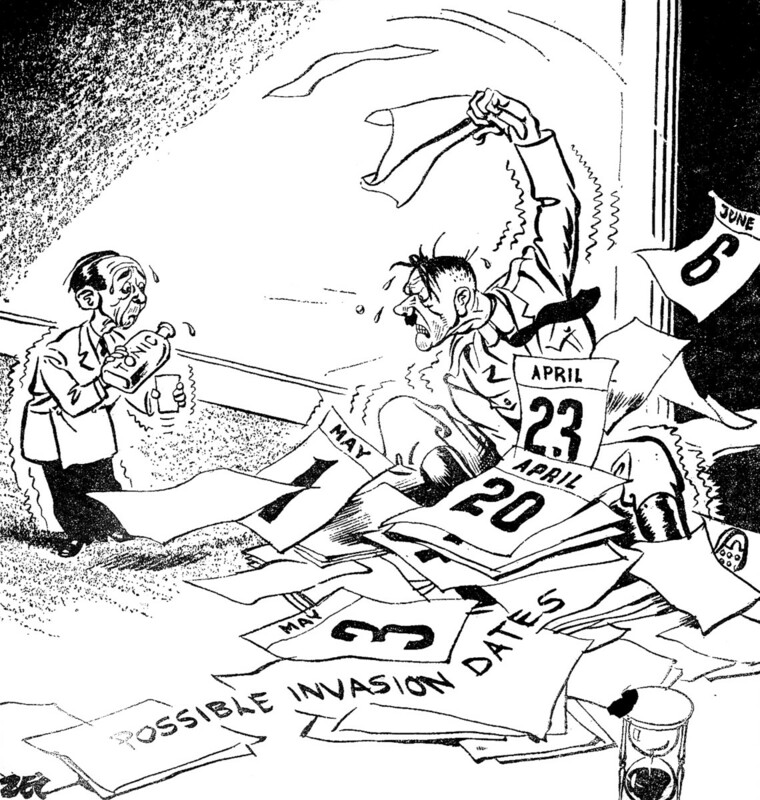 A cartoon of a frustrated Hitler throwing possible D_Day invasion dates. Meanwhile, Hitler slept. His subordinates had been given strict orders not to wake the Führer for any reason. And even when Hitler finally roused himself at 11 or noon, he refused to immediately send reinforcements to Normandy, still blindly confident that the entire D-Day invasion was a diversionary tactic. Only through the insistence of his commanders on the ground in Normandy was Hitler finally convinced to release some Panzer divisions and eventually divert the standing army at Calais to slow the Allied invasion inland. 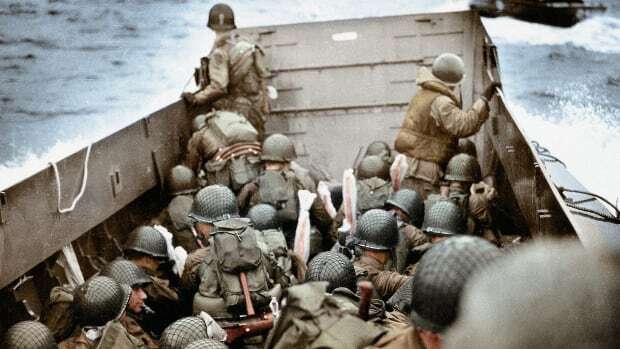 Among the Nazis many fatal miscalculations about the D-Day invasion was that the Allies wouldn’t be able to unload large numbers of soldiers, vehicles and equipment without a port. Thanks to brilliant engineering and months of preparation, the Allies arrived with prefabricated sections of floating docks that were quickly assembled into two giant temporary harbors. In addition to the 156,000 soldiers who came ashore on D-Day, the Normandy harbors would welcome around 2.5 million men and 500,000 vehicles throughout the remainder of the war.